Dubai Electricity and Water Authority (Dewa) has awarded a contract to supply, extend and commission 19.5 km of main water pipelines, at a total cost of Dh131 million ($35.6 million) to connect different areas of the UAE emirate including the Sheikh Mohammed bin Zayed Road, Emirates Road, Al Maktoum International Airport at Dubai World Central in Jebel Ali, and Dubai Industrial City, with the Hassyan plant. This will increase the water-flow capacity and meet the increasing demand for water in the developmental projects in these areas, said a statement from Dewa. Saeed Mohammed Al Tayer, the managing director and CEO of Dewa, said: "The project includes the extension of 1,200 mm GRE (glass-reinforced epoxy) main water pipes of up to 19.5 km and related works." "Awarding this project supports our efforts to achieve the vision of the wise leadership to promote the comprehensive and sustainable development of Dubai. 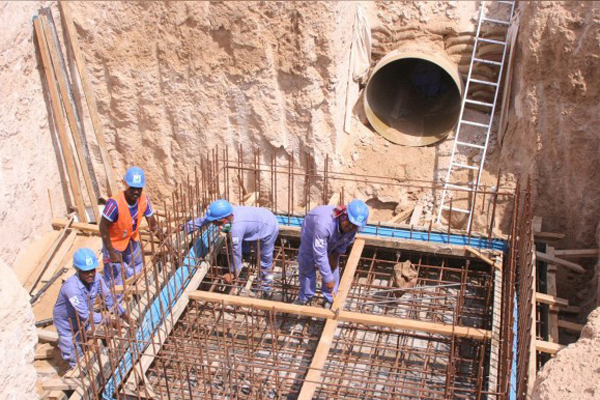 We work to increase the production and operational efficiencies, and increase the flow of water to meet increasing demand for water in different areas of Dubai," noted Al Tayer. "This implements our ambitious strategies and plans to meet the comprehensive development needs of electricity and water, and achieve the aspirations of all stakeholders according to the highest standards of availability, reliability and efficiency," he stated.